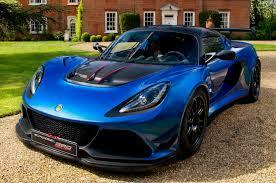 Looks like Lotus overestimated it's car again. Lotus claims this car can do 0-100 in 3.6 s yet Sport Auto managed to do inly 4.2 s. Lotus has also overestimated the power of this car, Sport Auto dynoed only 343 PS instead of 380. Funds-deprived Lotus still iterating on the aging Mk III platform.